THE children and staff of Armidale’s Little Bear Cottage are looking forward to seeing their much-loved centre get a new lease of life after the managing trustees received a $12,757 grant from NSW Government’s Public Reserve Management Fund. 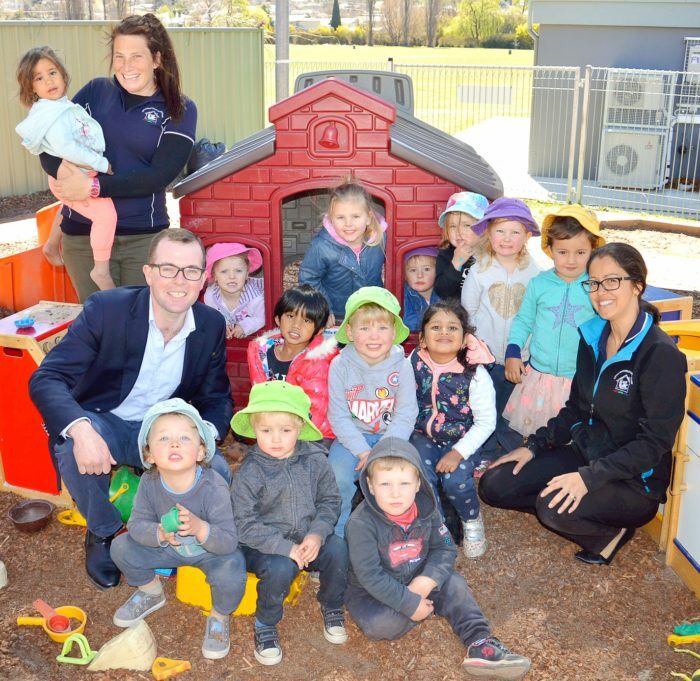 Northern Tablelands MP Adam Marshall visited the child care centre last week to make the announcement, meet the students and discuss the improvement work with staff. Mr Marshall said he was pleased to be able to support the Trust’s application and delighted to see the funding go to paint in the interior and exterior of the centre’s main building. “Looking after around 25 students each day places a lot of wear and tear on the walls and outside surfaces of the building,” Mr Marshall said. “Staff believe it’s been well over 12 years since the centre was last painted so it’s well over due for a lick of paint. Little Bear Cottage Director Febi Snape said the staff and parents were very excited about the grant and looking forward to brightening up the centre.